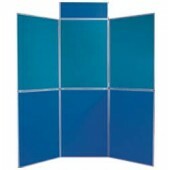 When you need to make a lasting impression at a trade show, or other event, you may want to consider folding panel displays. With these displays, you will have the ability to showcase a collective series of images that are going to be noticed, that won't take long to setup. They can be bold company colors, the logo of your business or any number of items that are displayed in a manner that commands attention from those around you. 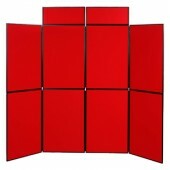 You can also use the folding panel displays to help you to present information at trade shows in a new and unique way. As a cost effective and lightweight solution, you can put them up and allow them to spark the interest of those who pass by, so that they ask questions. This will then allow you to understand their needs and present your business as a possible solution for those needs. 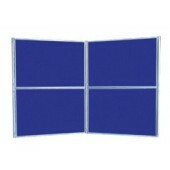 When possible, you can also have a banner or sign incorporate into your layout with these displays to showcase how your company is going to help others. More importantly, this form of advertising is becoming incredibly popular in the industry. With more trade show attendees utilizing the folding panel displays, it will be important to incorporate them into your own setup. This should be done in a manner that is fresh and exciting, so you do stand out in the sea of professionals at a trade show. One of the best ways to do that will be to speak with the professionals here at NuMart Display. Our trained staff will be able to take your images and logo and begin to create a visually appealing setup that is going to turn heads and ensure that you are noticed. At the same time, we will be a cost effective solution that won't end up putting a damper on your advertising budget. Remember, the key to trade shows is to stand out at all times. One of the best ways you can do that is to take the first steps and to create a unique design and layout that will turn heads and drive people to your booth. That way, you return on investment is incredible with this powerful advertising tool.